The new smartphone launched by ZTE for the Japan smartphone markets is Blade V580. The handset was listed on the official Japan website of the company. The handset can be pre ordered in Japan for a price of JPY 27,800. 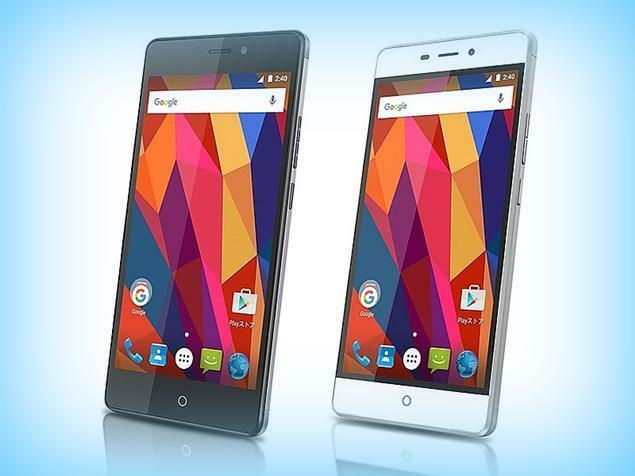 Tokyo: ZTE Blade V850 comes with 5.5 inch display with 1080 x 1920 pixel resolution. It weighs 165 grams. The handset is powered by MediaTek MT6735 octa core processor whose clock speed is 1.3 GHz. The processor is coupled with 2 GB RAM and the internal storage provided is 16 GB. There is facility to expand memory up to 32 GB via micro SD. It has 13 megapixel camera at rear and there is also 5 megapixel. It comes out of the box with Android 5.1 Lollipop operating system. Connectivity features of the device include WiFi, GPS, Bluetooth and 3G. This also features 3.5 mm headphones and dual SIM. There are proximity and accelerometer sensors. Battery under the hood is 3000 mAh capacity. ZTE did not say any word about global launching of Blade d2. One of the highlights of the device is the finger print sensor at the back. ZTE also launched a new device in Blade series named Blade D2 in Vietnam with 4000 mAh battery. This entry was posted in Launches, Tech on March 10, 2016 by Rakesh.